Over the years, many people have reached out to me complaining about a peculiar symptom. 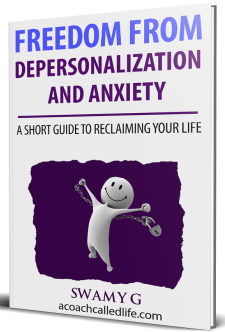 For the many who suffer from depersonalization and anxiety issues, this one symptom causes much distress. I’m talking about having music stuck inside one’s head. 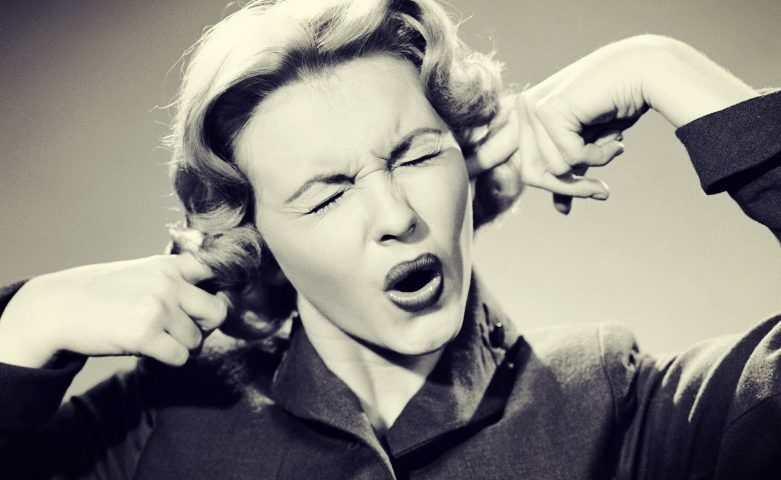 It’s fairly common for a piece of music, whether a popular song or a jingle from a TV commercial, to become lodged in your head. This is termed as “earworm” and is an issue that affects a large majority of the human population. It’s not uncommon to hear from someone about some annoying music looping inside their head. However, what is not very common among the general population, but fairly common with folks from depersonalization/derealization (DP/DR), is how this can go on for months to years. Such people can start hearing music from the minute they wake up until the moment they fall asleep. When that happens, they can become frustrated and even scared that it’s going to be like that forever. I was one such person. I’d wake up with a song stuck in my head. When I went to shower, I’d hear the same song or some other would take its place. Then at work, I’d try to focus and manage to get the job done, but during a break, I’d notice the music playing in the background inside my head. I was and always will be a musically-oriented person. I produce music during my free time, listen to tunes all day at work (it helps me work better), and I’m always game for live music shows. Music is a big source of joy, but when I was deep in the throes of anxiety and DP/DR, it became a big source of distress. I became more concerned about this issue. Over time, the experience moved from one of annoyance to something that made me afraid. I wondered, “Have I damaged my brain?” “Should I stop listening to music completely?” “Will it be like this forever?” The questions were never-ending. All of these scary thoughts only made the situation worse. They were adding more fuel to the fire. By constantly checking in with myself to see whether I had music stuck inside my head or not, I had inadvertently triggered the repetitive music thoughts. There are a lot of you out there who can relate to the above scenario. We want nothing more than to just wake up one day and not have a repetitive loop stuck inside anymore. Over the years, I came to figure out that this is just another side effect of obsessive-compulsive disorder and anxiety. They always go hand-in-hand. If you’d like to know how to recover from this, then here are some strategies that might work. Any cure for an anxiety symptom starts with acceptance. Our minds actually become obsessed with things they cannot accept. What we resist persists in our minds. When we try to avoid thinking about something, that’s when we really hone our internal focus in on it. By resisting these musical thoughts, we add more mental energy to them. That gives rise to more of the same thoughts. And then, we try to resist those thoughts with even more energy. Thus the cycle continues until it reaches epic proportions, which can cause immense panic in us. To be free from such thoughts, we need to accept them. You may be shocked by this statement. You may say, “If I accept them, they are going to stay forever and I’m going to feel overwhelmed.” This is incorrect thinking. By accepting such thoughts, you are not adding any mental energy to them. After a while, when they run out of energy, they occur less frequently. Acceptance is a long-term strategy. If you accept thinking that it will go away immediately, then that is not really acceptance at all. It takes time after you have started practicing acceptance for you to notice a decrease in the frequency of such musical thoughts. After you have started practicing acceptance, you will slowly find some relief. After a while, you won’t be afraid that you are going to be stuck in this mode forever. There will be days when you won’t have any music/repetitive loop stuck in your head. But then, suddenly one day, you’ll wake up with a piece of music going round and round again. If that happens, don’t become alarmed. Recovery from OCD/anxiety is never linear, meaning it’s not always a straight line. There will be setbacks. A strategy that can help you with setbacks is cultivating an attitude of indifference. What I mean by that is developing a “don’t care” attitude. The less we care about an issue, the less mental space it occupies in our mind and the less of a chance it has of coming up and again trying to grab our attention. Think of OCD thoughts (music thoughts are an example) as a high school bully. A person bullies you because he knows that you will react to his bullying. You being scared of him and his tactics are what gives him power over you. To take away that power, you simply don’t care what he does to you. Now, this might be a bad strategy in the outside world, but in the internal world of the mind, this is very successful. Whenever thoughts become stuck inside your head and you feel scared, just reassure yourself and say that you don’t really care. Even if it feels fake in the beginning, just go along with it. Just stop caring and continue doing what you are doing. Tell yourself, “I accept these thoughts, but I don’t really care about their presence. They can come and go as they wish.” Really start to mean what you are saying. Let the music just hang out in the background while you connect with life and do normal things. Over time, this attitude towards OCD thoughts becomes permanent and then such thoughts lose their bullying power over you. The more we care about such thoughts, the more power they have over us. The more indifferent we are, the less “sticky” they become. By combining the practice of acceptance with indifference, we can reduce the distress caused by these thoughts. Our minds will simply start focusing on issues we really care about. We will start seeing less of them. In addition to the above techniques, there are a few other ideas you can employ to find relief from OCD/repetitive music thoughts. One such idea is when you have a song stuck in your head, just sing it out loud. Instead of worrying about whether it will be there forever, just channel that energy into singing. Go willingly towards the song instead of running away. Play that song on your phone/stereo and sing along. Work out that emotion, be it fear or frustration, by singing it. You might even enjoy it. Sometimes, I have found that whatever song is currently playing inside my head has some meaning to me, though it may not be apparent. The words of the song may reflect how I’m really feeling. The mood of the music may reflect my own. Focusing on this aspect can be a tool for self-awareness. A few days ago, I woke up with a song called “Panic” stuck in my head. Upon some introspection, I found that my heart was racing and that I was feeling panicked about something. Maybe it was a bad dream that put me in that state. Who knows? The song and its title were reflecting my internal state. Now, whenever a song gets stuck in my head, I accept and allow it, and don’t really care if it’s there. But I do notice whether the lyrics or mood of the song is trying to convey a message to me. There you have it. I hope the knowledge and the techniques in this article have taught you how to handle OCD music thoughts and how to find relief from them. Have you had people contact you that just get the last song they heard stuck in their head? This happens to me. As long as I avoid music, I’m fine.